Dental cavities, although largely preventable, is the most common chronic childhood disease, 5 times more common than asthma. Cavities can lead to severe health problems, including serious infection, debilitating pain, dietary and speech problems, and in rare cases, death. Fluoridation is a 20th century adaptation of a naturally occurring process, which involves the adjustment of, either upwards or downwards, the fluoride concentration to an optimal level. 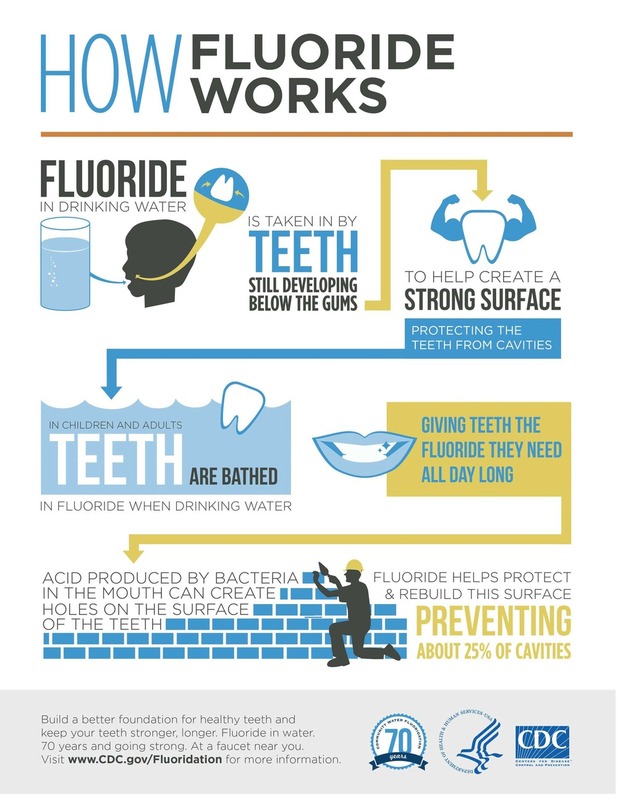 70 years of research and practical experience have demonstrated that regular and frequent exposure to small amounts of fluoride is the most efficient and cost-effective way to protect teeth against cavities and to reduce oral health disparities in a community. Former U.S. Surgeon General, Dr. Richard Carmona said, “Fluoridation is the single most effective public health measure to prevent tooth decay and improve oral health over a lifetime, for both children and adults”. For less than the cost of one dental filling, a person will enjoy a lifetime benefit of protection against tooth decay. The Oregon Oral Health Coalition (OrOHC) recognizes fluoridation as the foundation of a sound dental public health policy and is committed to working with other dental, medical, public health, and community organizations, as well as government agencies, to encourage, educate, and facilitate the use of fluoridation in local Oregon municipal water supplies in order to impact as large of a number of individuals as possible. Is using fluoride toothpaste enough? Fluoride Exposed: Is Fluoride good for your teeth?